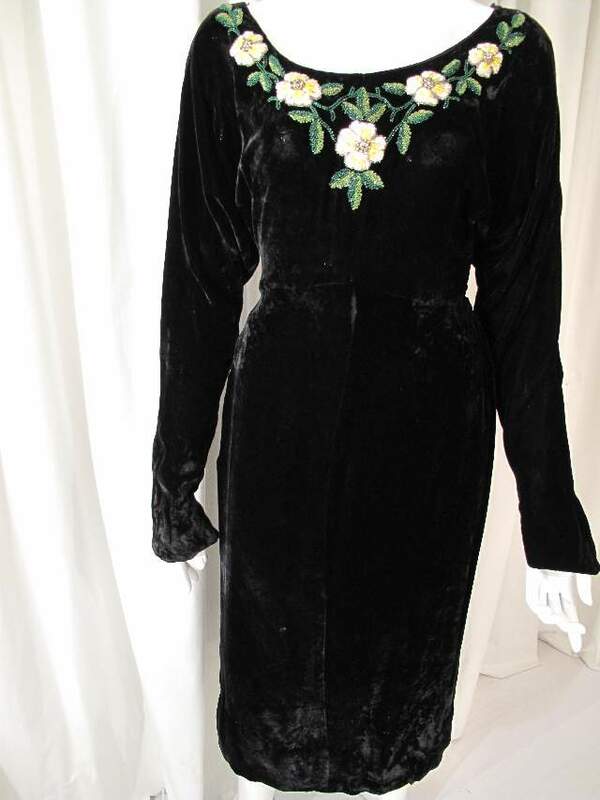 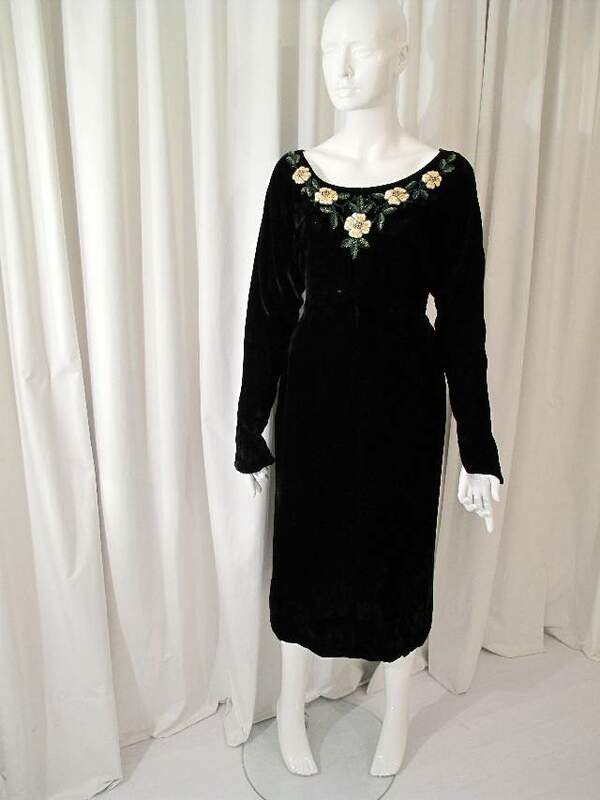 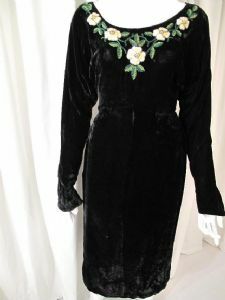 Late 1930's Black silk velvet three quarter length vintage gown. 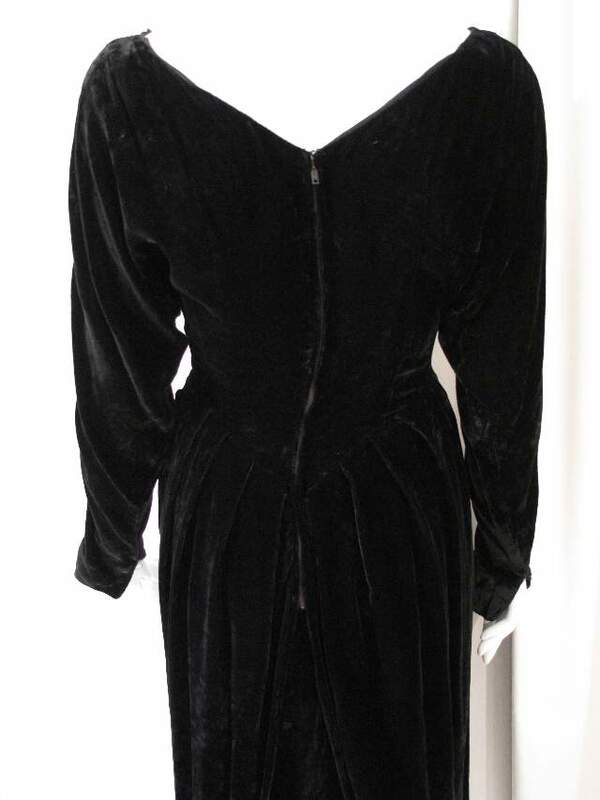 Long fitted dolman sleeves. 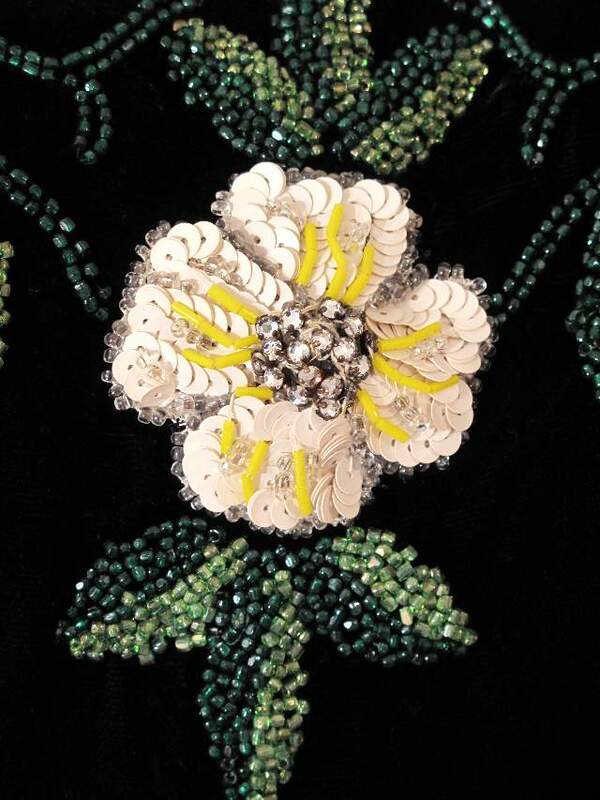 The neckline is deeply scooped and decorated with encrusted ivory sequin and rhinestones flowers, surrounded by densely beaded leaves in shades of green glass beads. 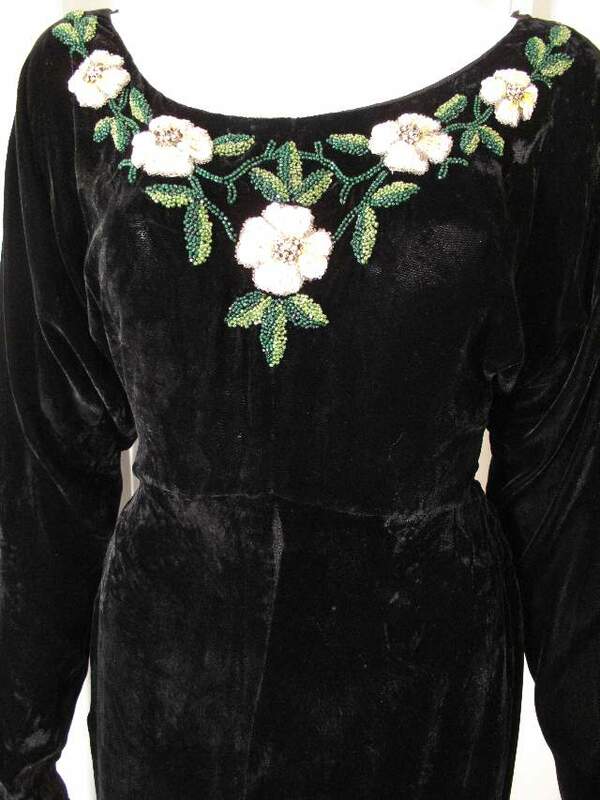 Stunning vintage dress, old school glamour.